Seems like Flipkart is feeling the heat from new entrant Amazon. According to the mail sent to all affiliates, they have significantly jacked up the affiliate commissions, in some cases upto 10 times the existing rate. Affiliate programs are big sales generating channel for E-Commerce sites in India and across the world. Affiliate programs by E-commerce sites have also led to hundreds and thousands of affiliate commission based businesses. Even in India, most of the comparison sites or deal aggregating sites work purely on affiliate commission basis, which itself is quite lucrative. Amazon’s entry into India seems to have shaken up Flipkart. Amazon offers some of the best affiliate commissions in the Industry and to compete, Flipkart has not bought their commission nearly at par. Amazon offers 10 percent commission across the board and till date Flipkart had variable structure. From as low as 0.5 percent on Laptops & accessories to nearly 8 percent on Lifestyle items. The new Flipkart affiliate structure has just 2 slabs – 5 percent and 10 percent. Here is “Before and Now” Comparison of Flipkart Affiliate Commissions. Though Flipkart calls this a promotional payout structure, I doubt they will ever revert back to old rates. In my view, they have just kept a window open for themselves incase these changes don’t lead to significant sales. 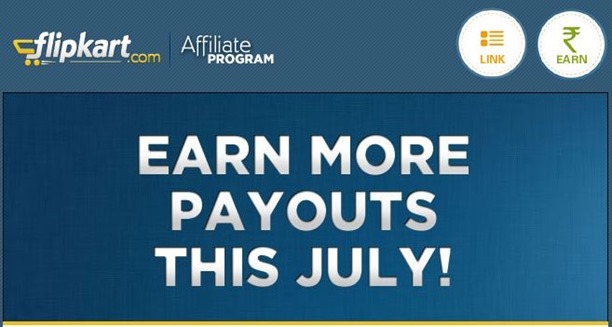 According to the mailer, this promotional payout structure is available for all affiliate sales from 1st to end of July 2013. Nice article, I have Flipkart affiliateaccount from last 1 year and earning somewhat 20 to 30$ per month. Its completely additional income..